Today is March 4, 2015. 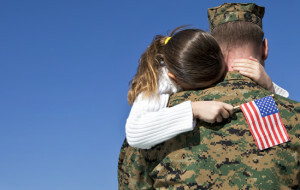 It’s HUG A VETERAN DAY. We, at GNN, would like our fans, and family to take time to give the men and women who serve our great Nation a big bear hug! Moreover, let’s take a moment to be aware of the issues that face our Warriors of the USA as they come back from Iran, Iraq, and Afghanistan. One of the issues that verterans face is unemployment. So, in their honor, we would like to share this good news with our veterans from the Army, Navy, Air Force, and Marines. Thank you for your service. Nationally recognized Marine Corps veteran Jesse Canella, in conjunction with KANDILIT, one of the fastest growing integrated IT service providers, today announced the launch of HonorVet Services (www.honorvet.com), a service-connected disabled veteran-owned staffing and technology service provider that will connect skilled and screened veterans and military spouses with employers across diverse industries for permanent, contract, contract-to-hire, and project-based placements. In addition to his service in the Marine Corps, Canella brings to HonorVet expertise in military and veterans affairs, corporate recruitment and the acclimatization of veterans for meaningful roles within the civilian workplace. Co-Founder KANDILIT (www.kandilit.com), whose leadership team has over 100 years combined experience, is committed to support HonorVet through its well-established sales, delivery and technology infrastructure. Each year, more than 300,000 U.S. troops complete their military service, providing a highly trained workforce eager to transition to professional civilian careers. Yet, according to the U.S. Bureau of Labor Statistics, post-9/11 veteran unemployment stands at 24.3%, and this is expected to increase in 2015 due to the planned troop withdrawal from Afghanistan.